There has been enough talk about the value of humanistic research – we know it is valuable. It is time to start thinking about what we can do to actually benefit from it. With our theme The use of humanistic research in the society and young researcher in the modern day work life we are bringing together Jesper Enbom from Humtank - the Swedish humanistic think thank, Liisa Mayow specialising in science communication, Anna-Maria Leogrande who is an expert on working life and two researchers – Anni Hurme who is at the beginning of her career and Matilda Wrede-Jäntti who has long experience and is an expert on young people at work. They will share their expertise, and we welcome you to participate and bring your ideas to enliven the way we use humanistic research in Finnish society and to support our young researchers. This think-tank is a first step to find partners that we can work with to further develop this. Our long-term aim is to create social impact through daring operations and support our young members interested in academic research. We want to do it together with a network of likeminded influencers and experts. Our task is to strengthen the position of art and culture professionals, enhance the employment opportunities and build new networks in the field. We have invited specialists to take part of the discussion to make a change – now it is time to act! Let’s reflect and start concrete work to utilise humanistic study in its full potential. Jesper Enbom is a lecturer in media and communication sciences at the University of Umeå. His research focuses on strategic communication in schools, social services and at the police. Other interests include political communication in digital media and sports journalism. Enbom mainly teaches strategic communication including public relations and organisational communication. Read more about Humtank. Anni Hurme is a recently graduated Master of Arts from the University of Eastern Finland. Her major is cultural studies and the field of expertise is media culture and communication. Since her graduation she has conducted a research project for TAKU ry and is now working as TAKU’s project planner. She is interested in the work life and employment matters both from professional and personal point of view. Other interests are for example communications and psychology. Anna-Maria Leogrande comes from Kumous - Uusi työnhaku, a company that provides a community, fresh tools for finding a job, fixing your CV and recognizing your own strengths etc. Anna-Maria has a background in educational sciences and regional and cultural studies. She cares about fair and equal labour markets and in her day job she promotes the employment of people in weak social positions. Liisa Mayow is as a co-founder and senior communications specialist at Kaskas Media, the only communications agency in the Nordic countries that specializes in science communication and outreach. Kaskas Media helps making valuable research available and to boosts its impact in society. Liisa describes herself as a communicator making science more accessible and beautiful. 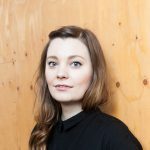 Matilda Wrede-Jäntti is a social worker, whose research interests include young people, their everyday life as well as challenges that this phase of life sets. Wrede-Jäntti has studies especially young unemployed and methodologically specialised in qualitative, longitudinal studies. Her current research focuses are on young adults in the precarious labour market as well as the FYRN project 'Young people in time'. Wrede-Jäntti also works as a university lecturer at the University of Helsinki (social work) and as a researcher at THL (National Institute of Health and Welfare). Welcome to the NordMatch 2017! Who? NordMatch 2017 brings together professionals, students and volunteers from the Nordic and Baltic countries. Youth workers, cultural workers, artists, educators, researchers, entrepreneurs, administrators, students, innovators, developers, young people and volunteers are all welcome!